Yes, Chiropractors can help you with low back pain while you are pregnant. It will make your pregnancy go a lot easier if your back doesn’t hurt. You should take extra precautions during pregnancy with regards to what you eat and what medical procedures you undergo. It is one thing to put your hands on your hips and throw the hip out in a pose and it is quite another thing to have a spine so bent out of shape that it is called scoliosis. Take a look in the mirror. 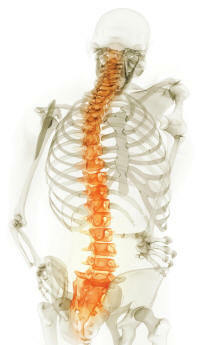 If your head is tilted to one side, this is an indication that something is going on in your spine. Take a look at your shoulders. Are they level? Is one rolled forward or higher than the other? Now place both hands on the top of your hips. Do you see one side higher and/or more forward than the other side? All these are indications of back problems. Each of them can cause pain, achy, radiating pain, numbness, or be prone to injury under stress. Call today 334-514-7600 for an appointment. Tell them Dr. McNally, DC sent you for a special first visit price that included x-rays, examination, therapies, and treatment. So if you have a common low back complaint, come see me, and I will determine what type and what I can do for you. Walk ins welcome.